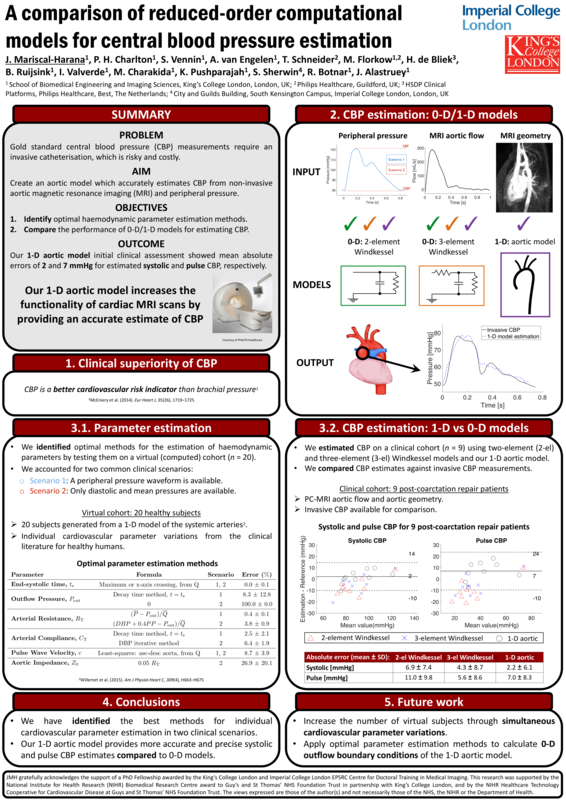 We investigate blood flow in the cardiovascular system using clinical data and modelling (computational and experimental). Learn about our research and contact us . 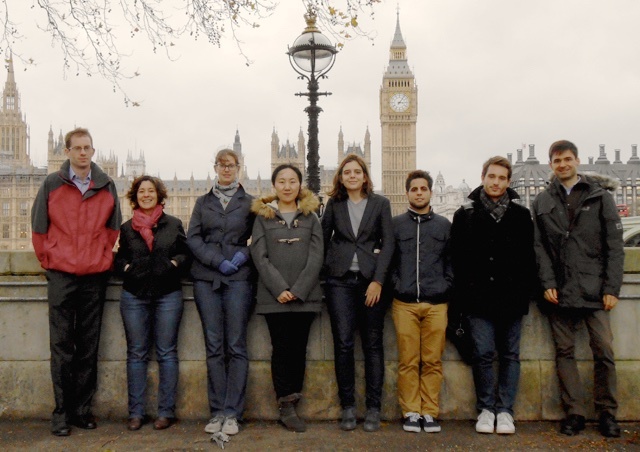 Our group is part of the School of Biomedical Engineering & Imaging Sciences at King's College London. 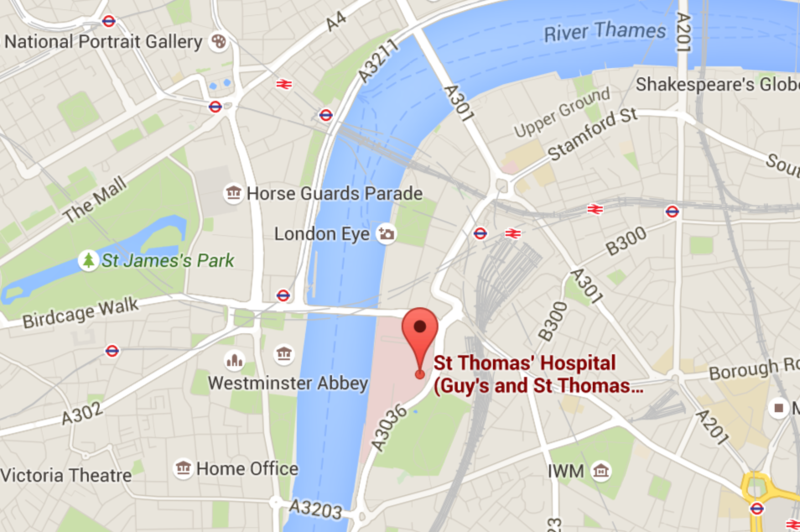 We are based in St Thomas's Hospital, a leading research centre in the heart of London. Jordi Alastruey was invited to give a webinar for the European ITN Personalised In-slico Cardiology, Mar 2019. 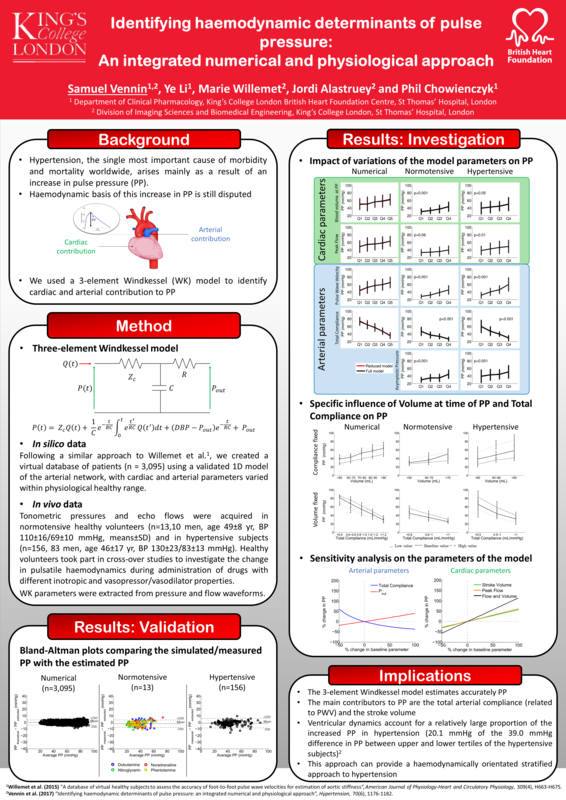 His presentation was titled Computational Blood Flow – Arterial Pulse Wave Modelling. 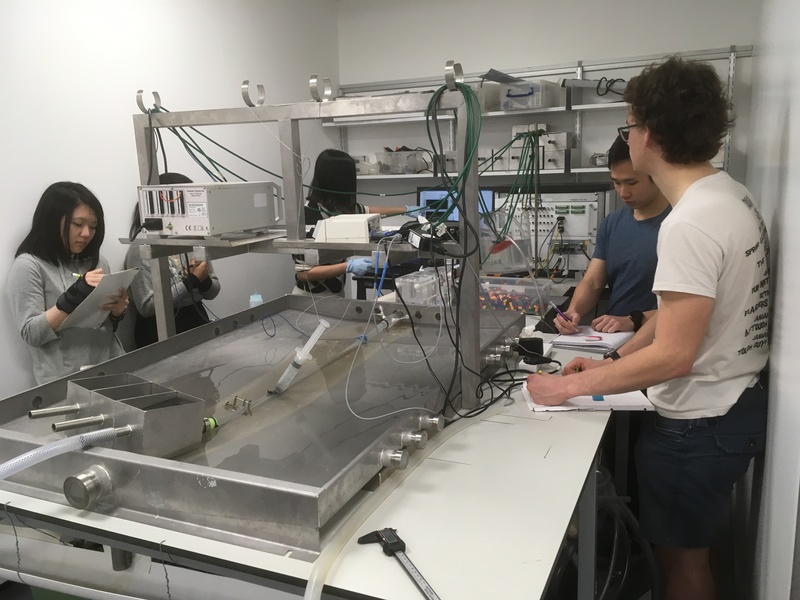 Using the group's cardiovascular simulator rig, Ye Li and Weiwei Jin conducted a practical lab session for our third year UG students of "BEng/MEng Biomedical Engineering" in March 2019. 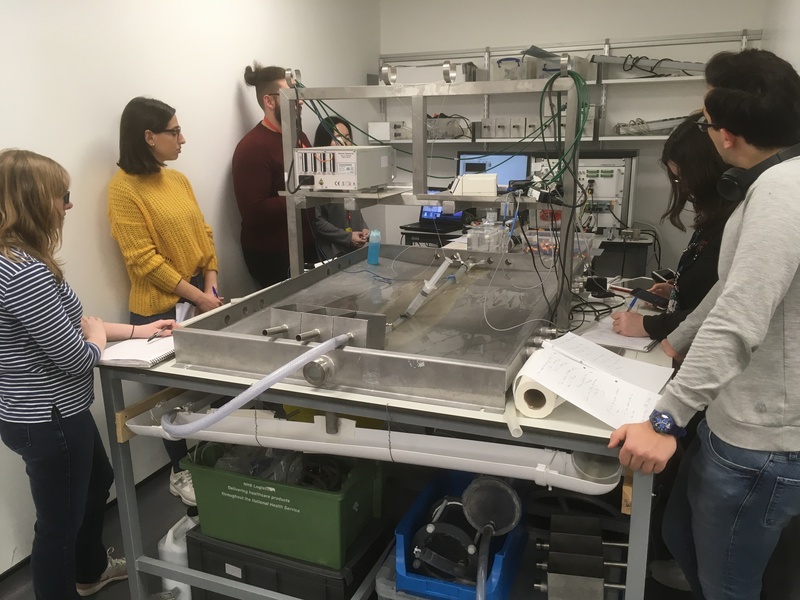 Jordi Alastruey was invited to give a seminar at the Department of Bioengineering , Imperial College London, Feb 2019. 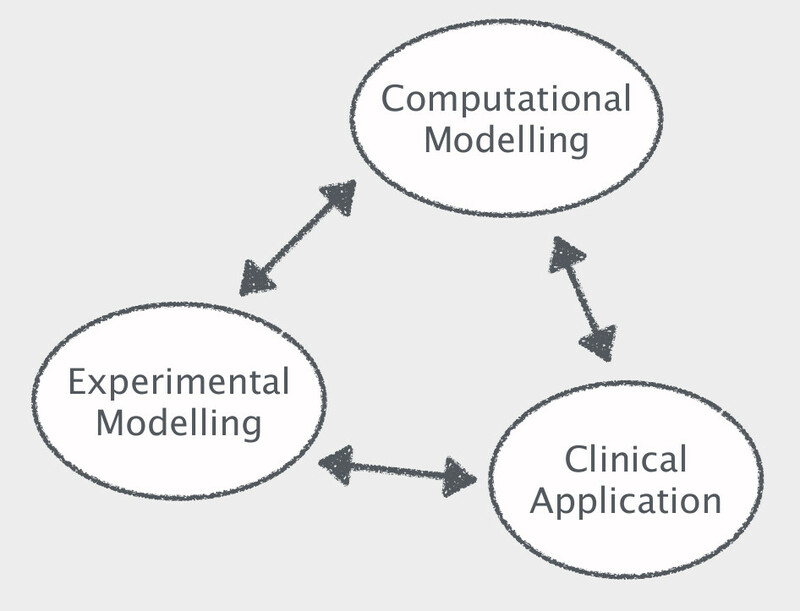 His seminar was titled Pulse Wave Analysis - Modelling and Clinical Value. Jordi Alastruey was invited to give a seminar at the Institute of Numerical Mathematics, Russian Academy of Sciences, Oct 2018. 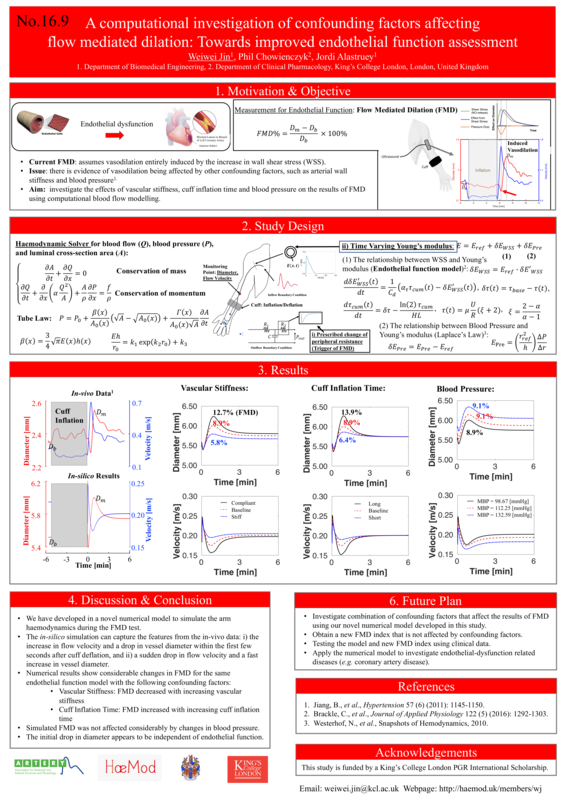 His seminar was titled Arterial blood flow modelling and analysis using reduced-order models. 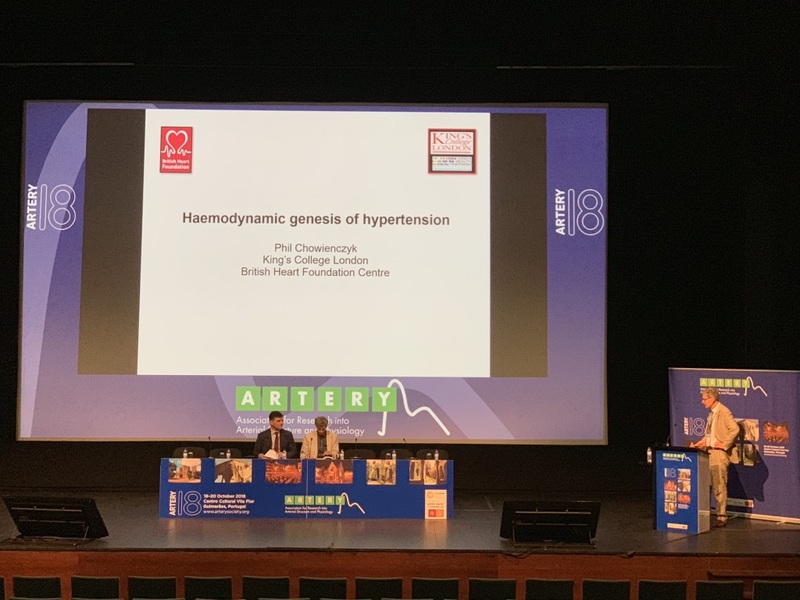 Phil Chowienczyk delivered the prestigious McDonald Lecture at ARTERY18, Guimarães, Portugal, 18-20 October 2018. His lecture, The haemodynamic genesis of hypertension, focused on the latest development in our understanding of what causes hypertension. 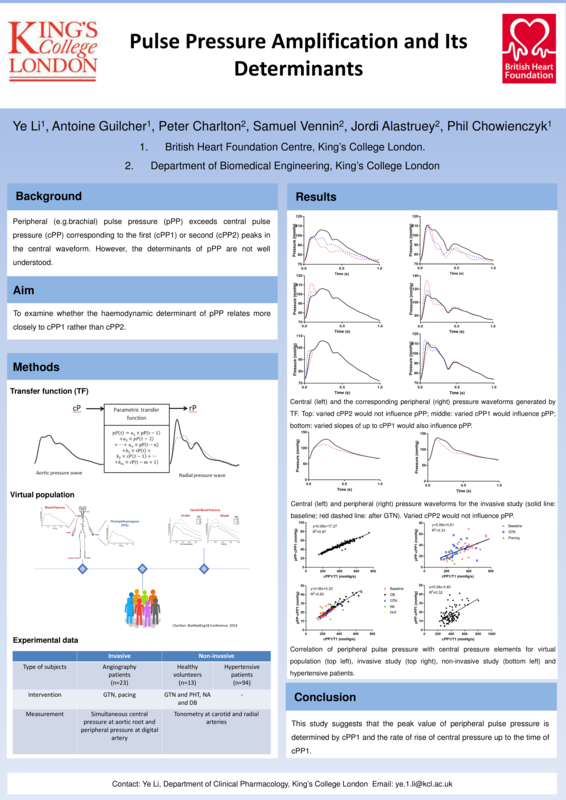 Ye Li, Peter Charlton, Sam Vennin, Jorge Mariscal-Harana and Weiwei Jin all presented posters. 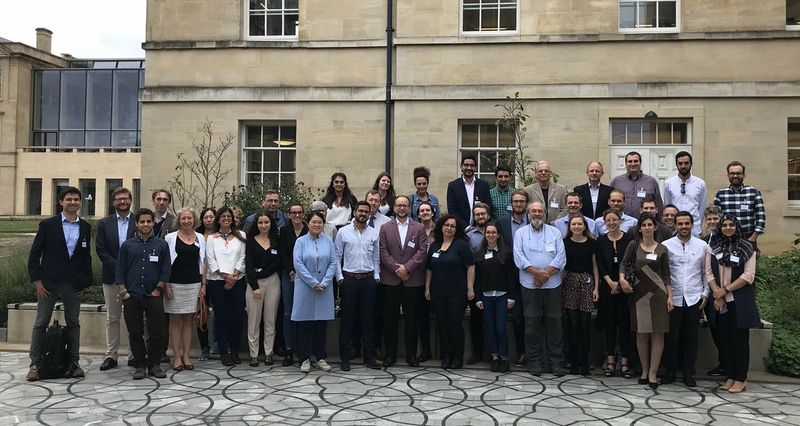 Jordi Alastruey was a trainer at the ENIUS Training School Computational Approaches to Ureteric Stent Design, Oxford 11-12 September 2018. Weiwei Jin and Jorge Mariscal received grants to attend the school as trainees. Contact us! Come visit us! The views expressed are those of the authors and not necessarily those of our funding bodies.